Check out our weekly themes for camp- activities are always evolving! 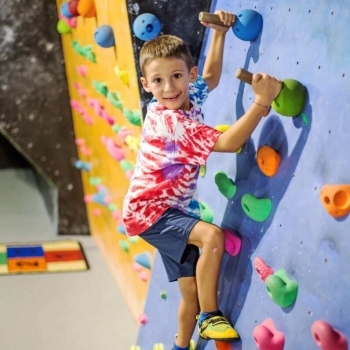 Our new jungle-themed camp will have campers swinging through vines like monkeys, escaping hunters, and building their climbing strength and skills through animal challenges. Games and activities for this camp are designed to celebrate primal joy and embodied intelligence. This summer camp has three or five day, full or half days options. This summer camp has three or five day, full or half days options. During this week, which includes warrior obstacles and unique climbing challenges, climbers will unlock their unlimited potential. 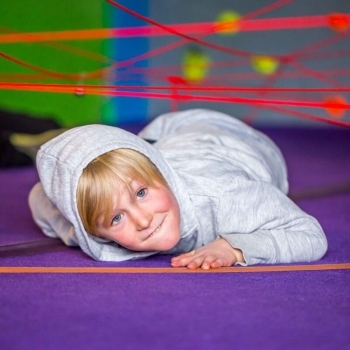 They will build strength and agility by flying, climbing, crashing, and laughing out loud as they play our outrageous games of physical fun! This three or five day summer camp has both full or half days options. 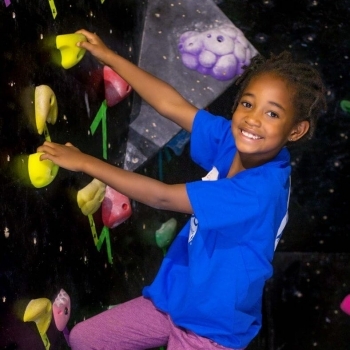 Climbers will build the confidence to defy gravity in this inspiring week of fun and challenge. The kids will learn new tricks and techniques to tackle hurdles with fluidity and control. Games and activities will focus on body awareness, balance, and footwork. 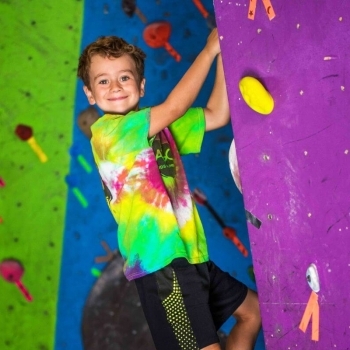 Climbers will get to work together as a team, laugh and leap their way through obstacle course, and experience everything else that makes our camps great. PM Summer Camp offered 6/17 and 7/8. Please pack a lunch and at least two snacks for full day campers and a snack for half day campers. or see our other summer camps in Boulder.